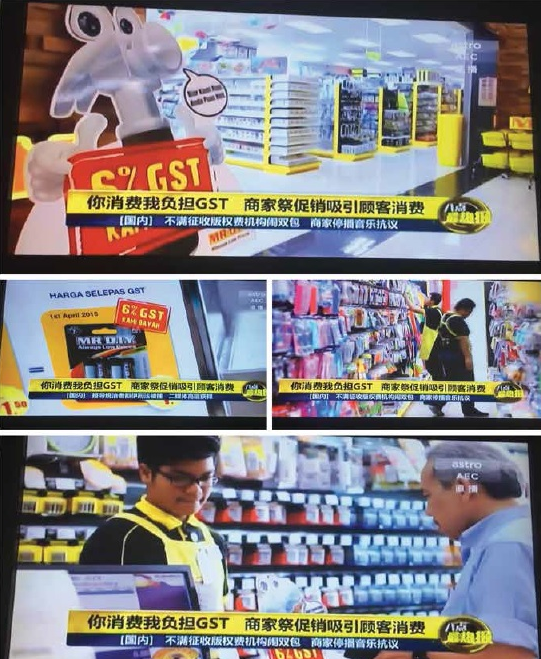 10 REAL Facts about GST and MR.D.I.Y. 1. MR. D.I.Y. 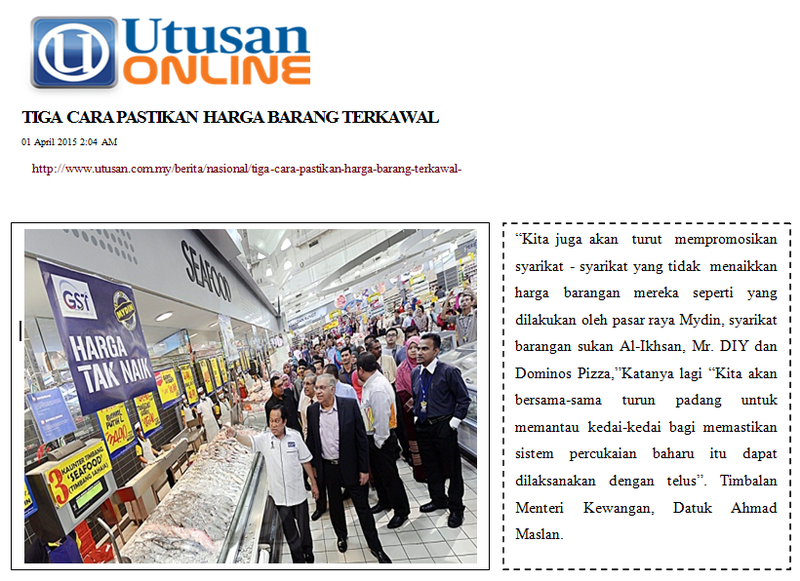 is a home grown enterprise with over 136 outlets throughout Malaysia. MR.D.I.Y. is the largest home improvement retailer in Malaysia offering widest range of products (30,000 types) with lowest price in the market. 2. MR.D.I.Y. 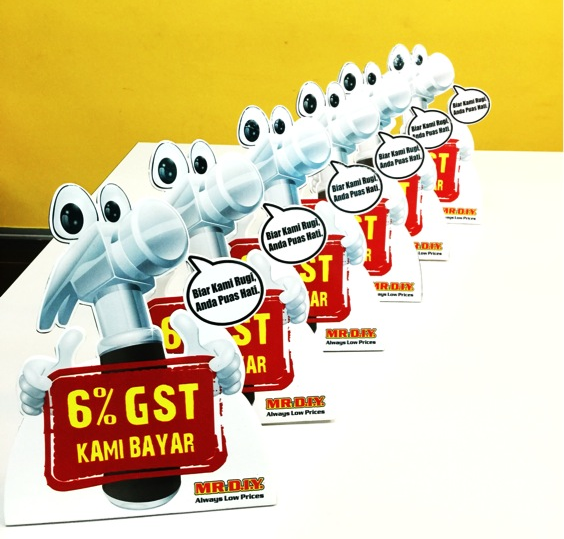 is the first company who announced “6% Kami Bayar”. 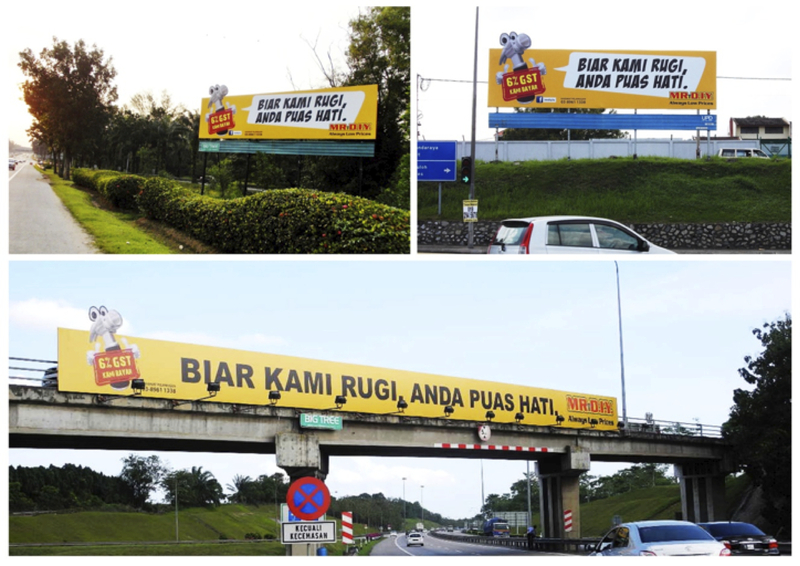 Our billboard with “BIAR KAMI RUGI, ANDA PUAS HATI” headline runs across all major highways since December 2014. 3. Our prices in MR. D.I.Y. remains the same before and after 1st April 2015. 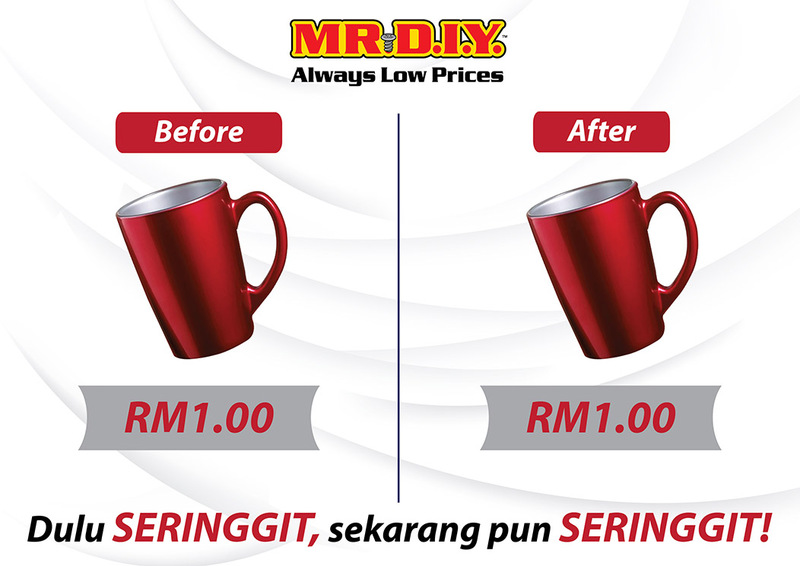 For example a cup that cost RM1 on 31st March 2015 will cost the same on 1st April 2015. 4. 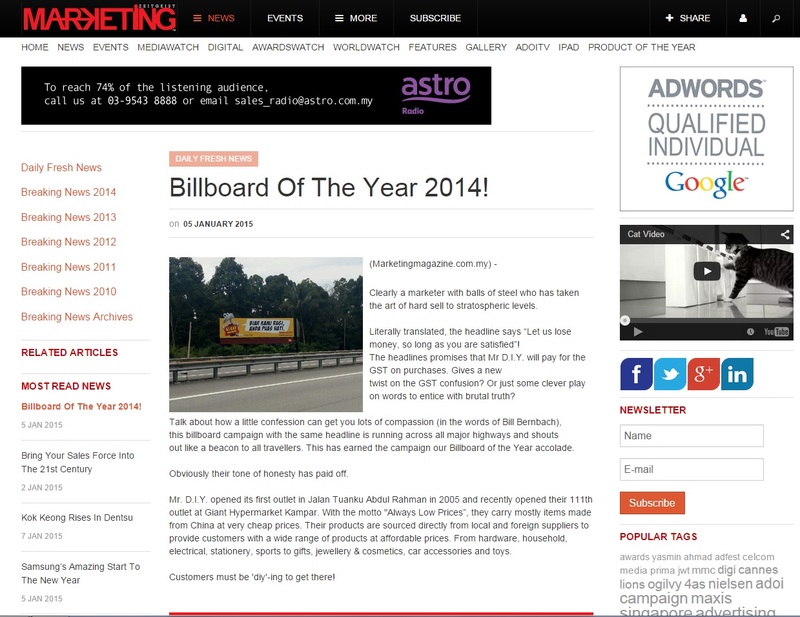 We are proud to received best billboard award 2014 which announced by marketingmagazine.com.my on 5th January 2015. 5. 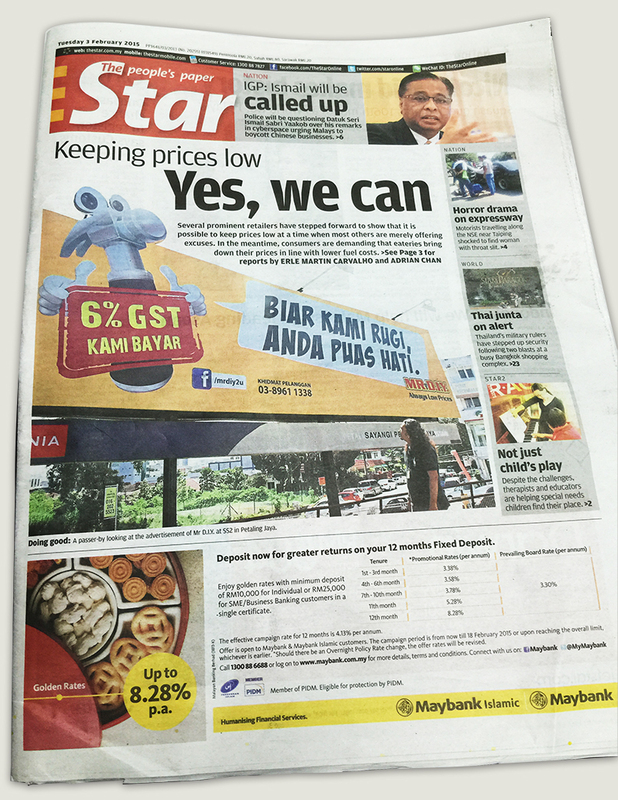 If you not yet already seen, we were being featured on The Star Front page with a striking title “ Keeping prices low. Yes, we can!” on 3rd Feb 2015. 6. 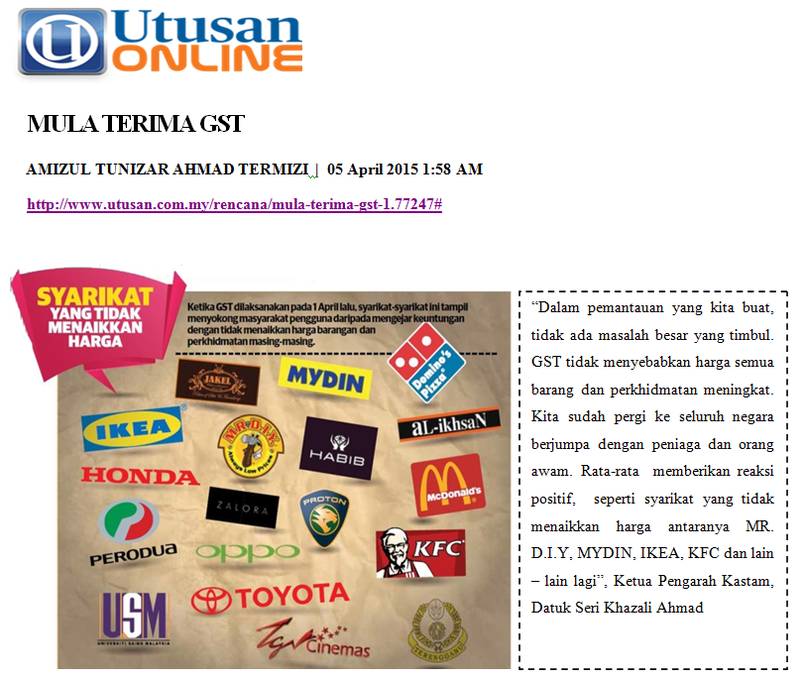 On the first day of GST implementation, Deputy Finance Minister, Datuk Ahmad Maslan gave positive statement towards MR.D.I.Y. for not increasing prices. 7. The next day, Astro AEC 8pm news 《八点最热报》broadcasted about how MR.D.I.Y. absorbes the 6% GST. 8. “MR.D.I.Y. 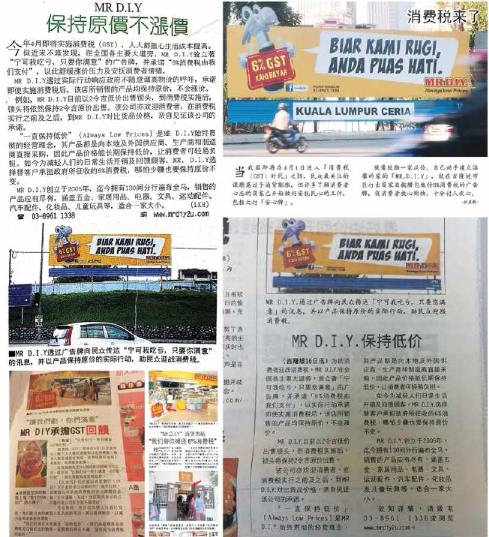 is one of the companies that do not increase their selling price” says Director of Royal Malaysia Custom, Datuk Seri Khazali Ahmad . 9. And yet we do not just looking to remain the price for only the first month of the GST implementation, you can still enjoy it after April ! YEAH Good news to all! 10. 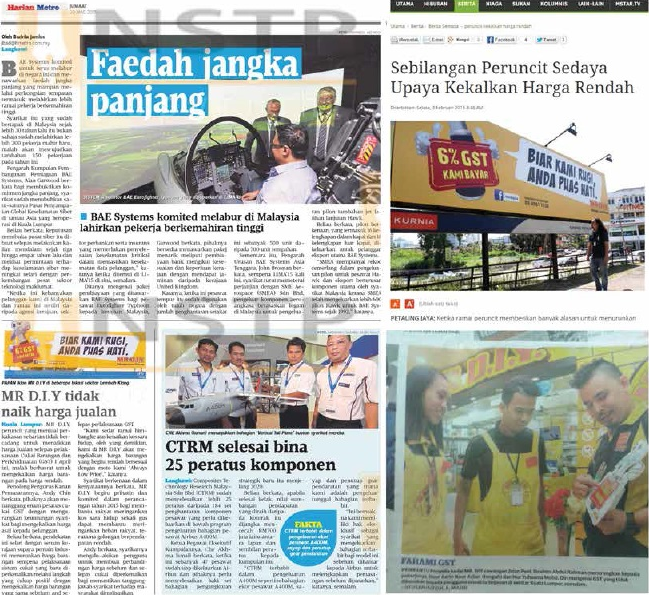 Last but not least, we have many great support from the major media through out our campaign since December 2014. Awesome!! I really respect MR D.I.Y effort to maintain the price!.i will always support MR D.I.Y…! Macam ni barulah tolong rakyat Malaysia! This entry was posted on April 11, 2015 by mrdiy2u in MRDIY and tagged 6%kamibayar, biarkamirugiandapuashati, GST, malaysia, mrdiy.